"I thought it would be a good idea to perform an in-place upgrade from Windows XP to Windows Vista." Agreed... and this is from a techie? doing a CLEAN install OF an OS is best, always. And of the previous OS is already broken, its nothing but problems. Oh, and Vista is crap anyway is also problem. Would have been better money and time wise to backup the data, clean install Windows7. And the kid (everyones kid) can re-download whatever junk they want. Besides, there maybe junk they've downloaded that they no longer remember or car about. Windows7 runs pretty good on basic Core2 Duos with 1GB of RAM (2~2 still recommended). It's funny how you ran into RAM issues with Corsair. When I was building my old P4 3GHz HT system long ago, I had bought 1 GB of Corsair TwinX and had been getting random verify errors on archiving which were traced back to the RAM. As it turned out, I wasn't alone and the reason was the spec for DDR400 was 2.6V, but the RAM required 2.7V to be stable ("sort of"). Corsair's solution? "Overvolt" the RAM voltage by 0.1V... Worked for some, but wasn't happening on my stock Intel board that had no voltage tweak function whatsoever. Ever since then, I stopped buying Corsair RAM in favor of Kingston HyperX which worked perfectly. In this case here, it's because RAM manufacturers cheated. Because early DDR3 yields made it impractical, they weaseled their way into selling DDR3 with out of spec ratings (which motherboard manufacturers "supported". It's just that when the i7 came out, the max voltage it's on-die memory controller would tolerate was was built around the DDR3 spec voltage. Also, some early i7 adopters looking for that extreme OC by overvolting the (correct) RAM found out that that max voltage *really* was the max the hard way, so now you have to REALLY be careful and make SURE it says it's Intel i5/i7-compatible. This article just underlines the whole Asus thing again. 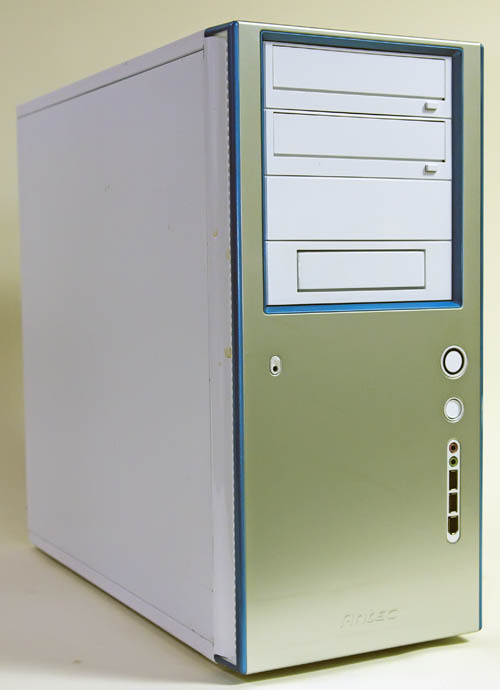 Ever since the 486's were new I've built my own PCs. I've always loved Asus motherboards to the point were I would usually never consider any other brand. However after having to return several different top-end Asus boards over the last 3 years or so due to stupid failures, and watching the direction their top end boards are going in, its clear that the premium pricing Asus charge no longer gets you good quality, instead its just buying stupid redundant motherboard bling. Asus top-end now just seems to target 'l33t ovaclockahs' with overpriced rubbish designed to last about 3 weeks. I chose a Gigabyte motherboard for my last (i7-based) build and haven't been even slightly dissapointed. I own an asus P6T (non deluxe). The 3 PCI-E connectors are better spaced, it haves more SATA connectors (and no that buggy SAS, which on a SSD world makes nonsense), and holes for LGA 1366 AND LGA 775. You should have gone for the Asrock X58 board. It's cheap, its cheerful, it runs a Vmware ESX server in our company while sporting 3PCIe Intel network cards just fine 24/7. Let's walk through the correct systematic approach to fixing PC #1. 1) Symptom - Running Slow. A) Check CPU speed to confirm right MHz reading. C) Take a loot at what's running, kill processes and see if performance improves. 2) Vista IS overall SLOWER THAN XP!! It is no solution to anything except if that is the OS she wants to use. If so, go for it, but not in the middle of a potential hardware problem. People keep using silly metrics like how long a boot takes or letting Vista prefetch, ignoring the time to do that, THEN benchmarking, not looking at overall system performance because that is the opposite of the isolated testing a typical benchmark tries to focus on. A) If XP ran ok when installed which it obviously did or you wouldn't have deployed the system, the worst thing to do is change things that are obviously not the problem. It is not so much change-one-thing-at-a-time, it is change only what might be the problem and that's definitely not the problem. B) Ask if there is any important data on the system and make a backup of the OS partition (if you did not set it up as briefly described at the end of this post). C) Restore the prior backup from when XP ran ok.
D) Does XP run ok now? If yes, problem solved, add back software one item at a time noting if problem returns. If no, you have isolated hardware and/or bios, it is not a software or OS problem. 3) 2GB of ram means what? That is a LOT of memory for the described tasks, double what is needed actually. Think about it, people were doing these things back when XP systems typically had 256-512MB and were excited to have their new *fast* system. Point is, don't think in arbitrary terms of how-much-memory-can-I cram-in, think in terms of "ok, this is what needs to run, let's look at the allocations in Task Manager". Again, since it ran ok when first put together and XP installed, there is no reason to think it won't again if you simply restore the backup from the point in time when it ran ok.
4) What the heck, swapping memory and CPU? Half the memory ahd half the performance of the original CPU should be plenty for the described tasks. Even then it should run circles around any notebook that has a regular HDD instead of SSD in it and yet system was abandoned to use notebook. A) Always fix what is broken before doing unassociated upgrades. The lesson that should have been learned is once you set up a system the first time and it runs properly, make a backup and consider that golden. Do not waste time scratching your head, scanning for malware, etc. Don't even blink before restoring the backup.